On a cold February day we met the most excited group of people, their joy on graduating was very very evident on their faces! some were so excited that they were really at a loss for words to describe how they were feeling, and we (Rammal & Nabia) know that feeling all too well! It’s a moment a student works towards for 4 years, and at the end of the journey it can leave you speechless, knowing you’ve accomplished something worthwhile in this life can do that. That’s the kind of energy and emotions we wanted to capture, this time in film. The excitement of spending the last few days together with your friends, the onset of new beginnings, a proud feeling of making this far and saying goodbye to people you’ve seen everyday for 4 years. We love capturing raw emotions, it’s always about capturing people at the most personal level to really let them sparkle on screen! 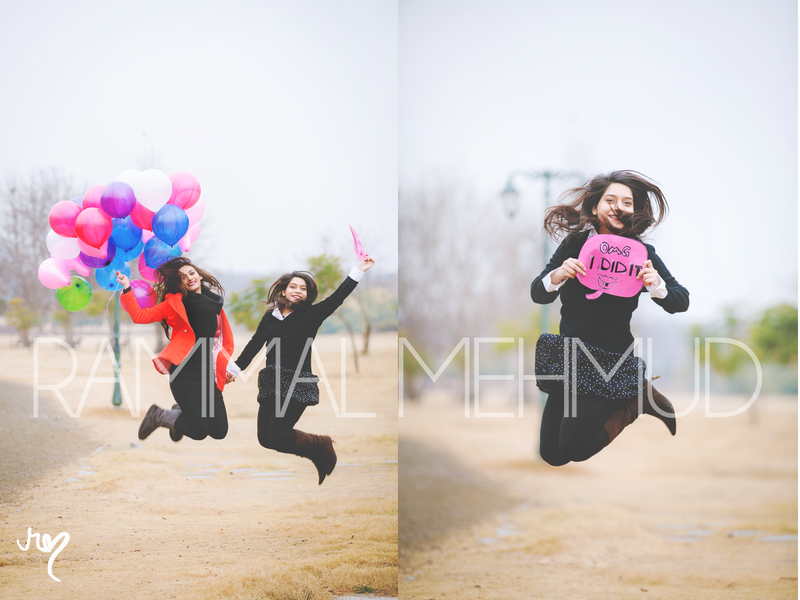 Sara, Maham, Akram, Safa, Sakeena, Mati, zara, Isra, Palwisha, Soha, Waqar, Nimra and Samawia are now starting a new chapter in their lives and we were so glad we could be there to capture these special moments and help them make this a memory to remember for the rest of their lives! 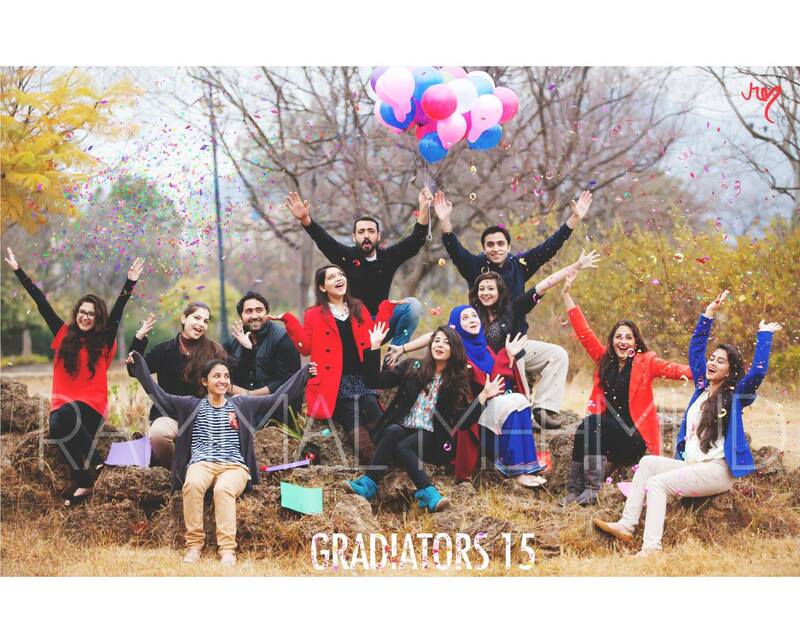 To the batch of Bahria University 2015 : Congrats! Our website got a makeover. We think its as pretty as the event we are blogging about. Writing your story is easy but telling it in tiny meticulous details and getting to capture it is magic! We encourage all our clients to get creative and personalise their events because it’s a reflection of their personalities and what makes their pictures unique. Nyla and Harris’s unique connection to each other translates so effortlessly in our pictures, adding more sparkle to their fantastic fairytale. Here at their 1st Anniversary we’ve managed to capture their romance in every detail. 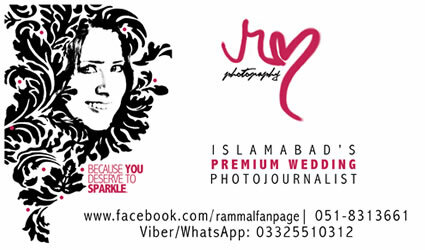 Hope you guys enjoyed these images by Rammal and Nabia Mehmud and feel their intimacy. Once a upon a sunny december..
From one of our escapades in Karachi, Pakistan. We would love to share Kinza’s decandent ‘Glam it up’ Session. Having lived forver in Islamabad, we werent used to the concept of a sunny december, as its always bleak or cloudy and raining 80% of the time in Islamabad. But Karachi is sunny and wind =D So, now Karachi is added to our list of happy places. So, We reached Kinza’s place for some morning crazyness with the girls and & *Tea* and then left off with the exuberant bride, her sister and best friend in tow for the Salon. 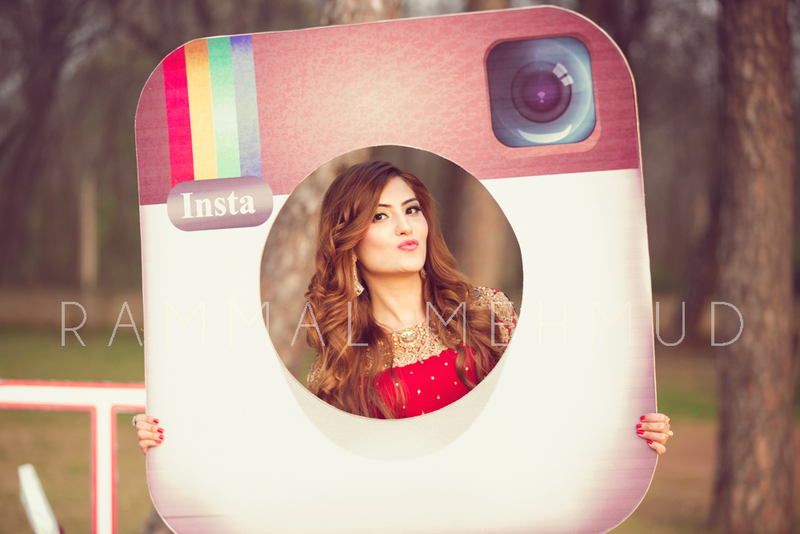 Kinza chose to wear a ‘Tabbasum Mughal Bridal’ attire and did it justice! from full view of the flowey reds, to the details of kaam, to the tassles, nothing was overlooked! We headed over the Kinza, who was getting done with her Makeup (which unfortunately we werent allowed to document) however, the Salon staff was very cooperative regardless. Whooo! how Gorgeous is she?! We wish Kinza & Ammar, the best of both the worlds. If ure sick of the same Burger Joints like; Hardees, McDonalds, Roasters etc. You’re in for a BEEFED up treat! Char Grilled Central is a Burger Joint by two young foodie friends; Saif & Jawad who partnered to make sure that your burgering experience is un-compromised when it comes to quality. For this, they made sure that the meat is unprocessed and procured on a daily basis from local vendors. Since, we live in an age and day of foods are over-processed we think that this initiative of theirs is soo thoughtful and most importantly FRESH!! The brand’s philosophy is to sell fresh while its juiciest! So, We got an interesting call during a shoot On Saturday, that we should expect the samples when we get home 🙂 The team wanted us to taste and improvise on the quality before the inauguration. They’ve been like burger geniuses, market testing their product just to tweak the product quality before launch. How often do you come across such a brand? Definitely a rarity in Islamabad! Coming home after a wedding shoot to two delicious looking, succulent burgers was amazing! Yep! We were sent samples of two of their burgers and mutually decided the feedback they had inquired for was worth sharing. The burgers tasted fresh and the combination of sauce flavors that just explode in your mouth! The patty was minced to perfection and done on the rare side of medium but we prefer well-done. The burger was smothered in mayo, fresh ice berg lettuce, onion rings and fresh tomatoes and every bite was cheesy. However, we felt that the team could use a bit of work on the presentation of their food. As they are most definitely the juiciest burgers in Islamabad and we wish Char grilled Central, The best of Luck for the inauguration. We wish these guys best of luck for their endeavors, they will be inaugurating their online burger joint TOMORROW!! Menu & Contact details can be found on their page upon inaugration. Samar met with us to discuss her engagement details and to book us a few months back. Her engagement dates kept on changing so that was kind of like a blessing in disguise because it gave us a better sense of the person that she was. We at VRM, like to personalize each photography session according to your personality, we don’t believe in assembly lines and sessions that look the same as every other bridal pic. It’s your day & YOU deserve to sparkle! You will not beleive it when I tell you this, but Samar got ready at home. YEP! no professional Salon, no pro make up artist. Her gorgeous sis & cousins were pretty much pros 😉 dont u think!?! She added the glamour factor and the colors that were lacking! What are your thoughts on this?! I know weve been MIA for the month of May! So, We’ve decided to blog about our absence (read as misery lol) Well, after some weekends of non-stop weddings and shoots, Rammal & I both were spent and were looking forward to a quite weekend. However, we started feeling weak and drained all the time, with fever that didnt break. After two miserable days, our parents forced us and got blood tests done, Little did we both know, what a long recovery we were in store for! Also, We received from you; a ton of emails, texts, flower bouquets, calls and we want to express our gratitude. THANK YOU for all your love, support and care! Manpreet Singh Khalsa (MSK) who is an awesome photographer based in New Delhi, India. We are very thankful to everyone who sincerely supported & loved us throughout this journey. So thankful that words fell short and we were bound to announce yet another ‘GIVEAWAY’, like the last year but – with a NEW twist. + Music & Lyrics contain 20 shots (5×7 prints) based on your favorite song! + The duration of the shoot would be 1-2 hours. + The winners would be featured on the fan page, our blog and on our website. ‘Music & Lyrics’ is strictly copyrighted to Rammal Mehmud. The concept & the name of the package is ours and shouldn’t be replicated. In case this is forged and seen on other photography pages, serious action will be taken. I created this after I shot my first wedding. It wasn’t only the euphoric response from the couple that made me express it, but the creative control that was handed to me which made me feel – the couple & me are a ‘team’. So when I go through my inbox/ skype & meetup with people of a similar vision, I feel they renew me: To get out of myself even and do the best not just because its THEIR day but because they are awesome being the way that they are. 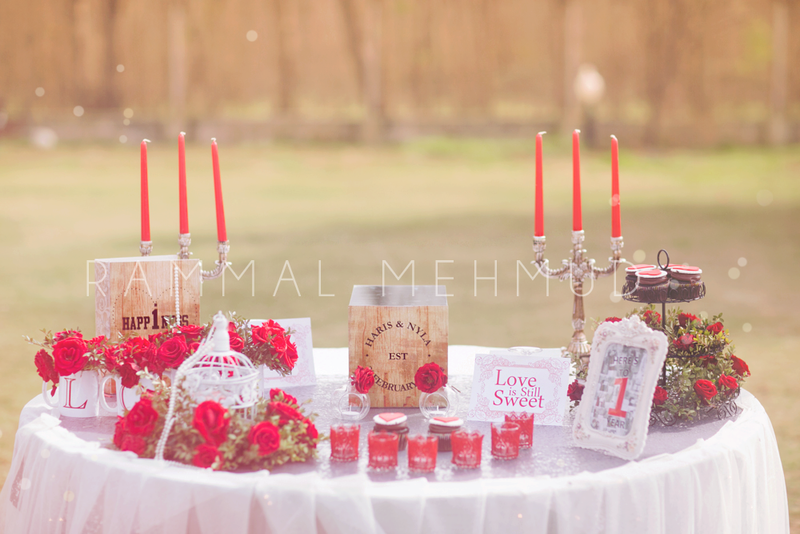 Its a Love story – Amna & Sajid’s Sneak Peak! I feel so privileged when I get a chance to document a couple SOH-IN-LOVE. It was awesome working with these two childhood sweethearts. Almost like I had met them long before. 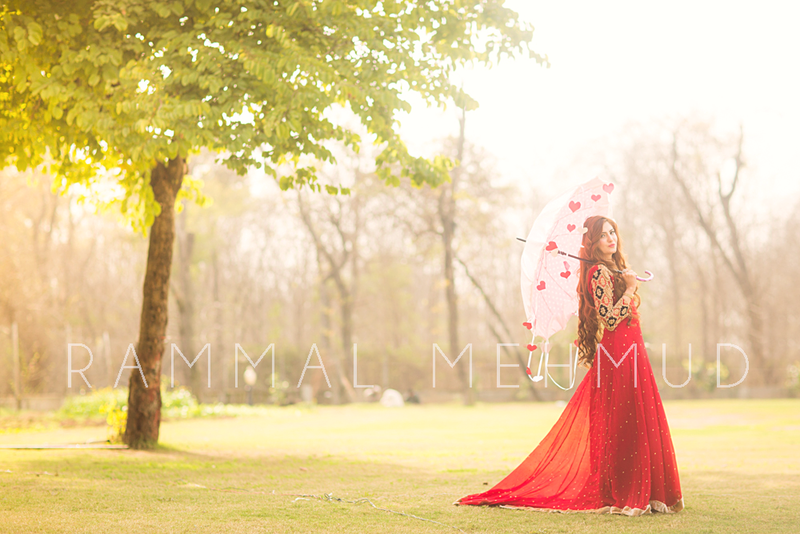 Amna booked me in April from UK, 5 months before her wedding so I’m available on her dates! ^_^ Later we met in August when she came back and we instantly clicked! After Flipping through hundreds of different wedding photojournalist magazines, She told me how she had always imagined her BIG day to be photographed – And chose me. Later I photographed their bridal lurrve session just the way I love – ofcource during the golden love hourrr! 😀 I was HELL Happie that day and so glad to be a part of their heartfelt occasion! Wait up for the complete blog! A & H’s Mehndi sneak peak! ‘A’ contacted me in April and got her hall booked when she found out I was available to shoot her Mehndi on that date. Meeting her and her fiance was an absolute treat as these guys matched my personality perfectly! 🙂 Anyways, I’m so glad I shot their Mehndi and Baraat, It was awesome bumping into ole clients and wonderful to be a part of their festive event. And sometimes its that ONE shot that makes the shoot and for me – it was this one. One of the reasons I love my job!